The Department of Veterans Affairs has not updated some of its purchasing regulations since 2008, and the resulting problems created for contracting officers at the agency have caused the Government Accountability Office to designate the problem a high-risk area for 2019. “The VA acquisition is a huge part of the mission over at the Department of Veterans Affairs. They do about $26 billion in procurements each year, and tens of thousands of procurement actions. Since 2015, we’ve had over 31 recommendations that we’ve done there and, unfortunately, 21 of those remain open, and so the high-risk designation centers on a couple of longstanding weaknesses that they’ve had in the acquisition area,” said Chris Mihm, managing director of the GAO Strategic Issues Team, in an agency podcast. 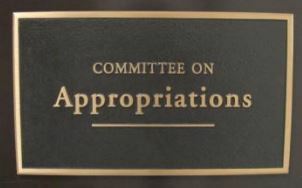 In the wake of Oracle’s successful protest of a $950 million “other transaction authority” award by the Army to REAN Cloud, House appropriators are putting the Defense Department on notice that they’ll be keeping a close eye on future OTA awards. For appropriators, as was the case for the Government Accountability Office, the issue is the use of such awards for procurements that don’t fit the experimental or prototype model that OTAs were intended to handle. The bill requires that the Secretary of Defense notify House and Senate defense committees 30 days in advance of obligating funds for production contracts under other transaction authority. 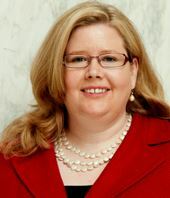 So GSA Administrator Emily Murphy, who was confirmed by the Senate about two months ago, has made transparency one of her four goals and is seeking not just an agency solution to this challenge, but one that would work governmentwide. Emily Murphy, the nominee to be the next administrator of the General Services Administration, sailed through her hearing last week, facing few tough questions about her plans to improve federal acquisition, and promising to address long-standing issues in the Public Building Service. As Congress moves to reconcile two versions of the National Defense Authorization Act in the coming weeks, one of the provisions legislators will be considering could significantly alter how federal agencies might buy commercial off the shelf items — eventually including IT products. If approved, the measure would task the General Services Administration to develop online e-commerce portals that the Defense Department and federal agencies could use to buy basic commercial products. Existing companies that specialize in office supplies as well as larger e-commerce platforms could create special government-focused marketplaces that buyers could use to obtain basic items. Rep. Mac Thornberry (R-Texas), chairman of the House Armed Services Committee, first proposed the measure as the Defense Acquisition Streamlining and Transparency Act in May. It passed with some modifications in the House NDAA.